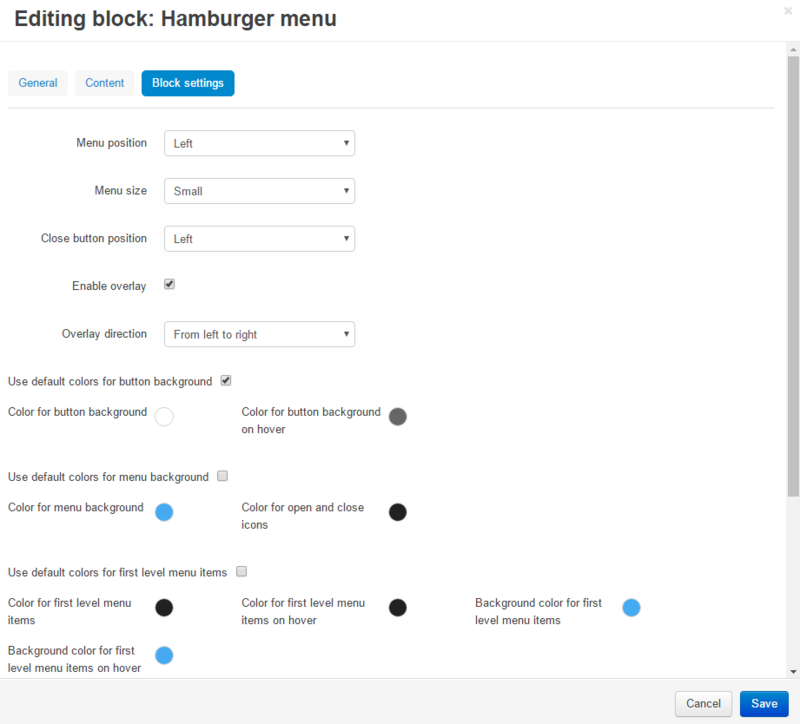 The Hamburger Menu add-on allows to replace a CS-Cart menu bar with a simple drop-down hamburger menu. It is a three-lined icon hiding the navigation menu. This is especially applicable to mobile devices where the Hamburger menu helps to keep the design clean and functional. 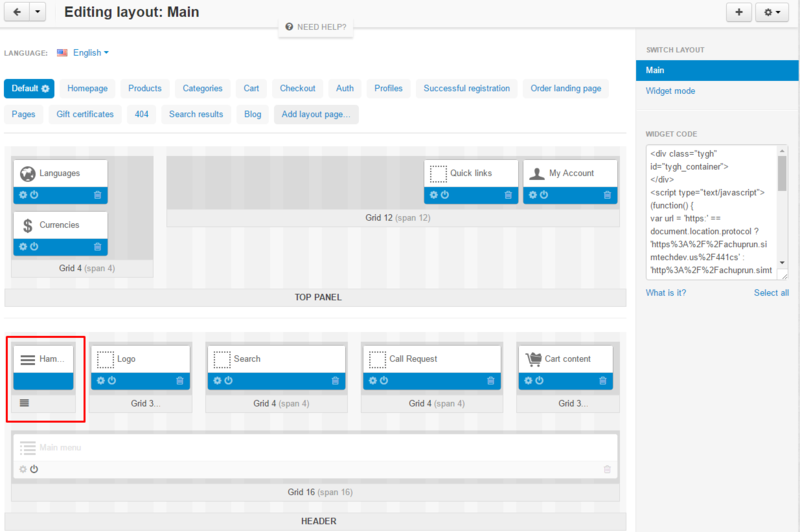 Footer items of create orders (e.g. delivery and payment, returns). Colors for 'Show more' link on second level. Ability to combine a traditional menu bar and a hamburger menu. [+] Touch events (touches and swipes) support has been added. [+] The account menu has been added to the hamburger menu panel. [+] An additional text field has been added to the hamburger menu panel. [+] The shopping cart panel has been added. [+] The ability to integrate with Amazon-style menu (icons and labels) has been added. [-] The size adjustment setting (big/small) has been deleted. [!] The first-level menu items were not clickable in the Amazon Style Menu add-on if the add-on was installed. Fixed. [!] The add-on worked incorrectly on mobile devices with installed Amazon Style Menu add-on in the store. Fixed.